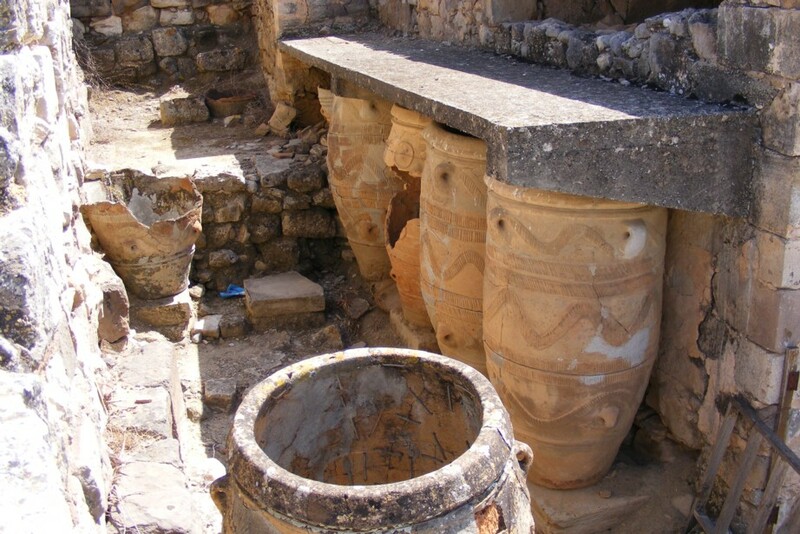 Both Phaistos and nearby Agios Triada have been identified as Minoan palaces. Both are on high ground above the valley so would benefit from any breezes that helped to make these sites more comfortable than the low lying and probably slightly marshy valley. 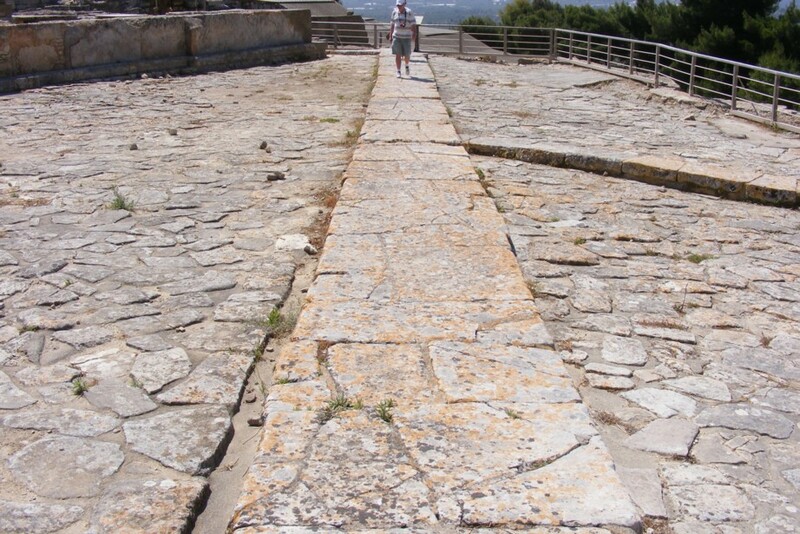 Phaistos was a major Minoan city but declined as Gortys increased in importance. 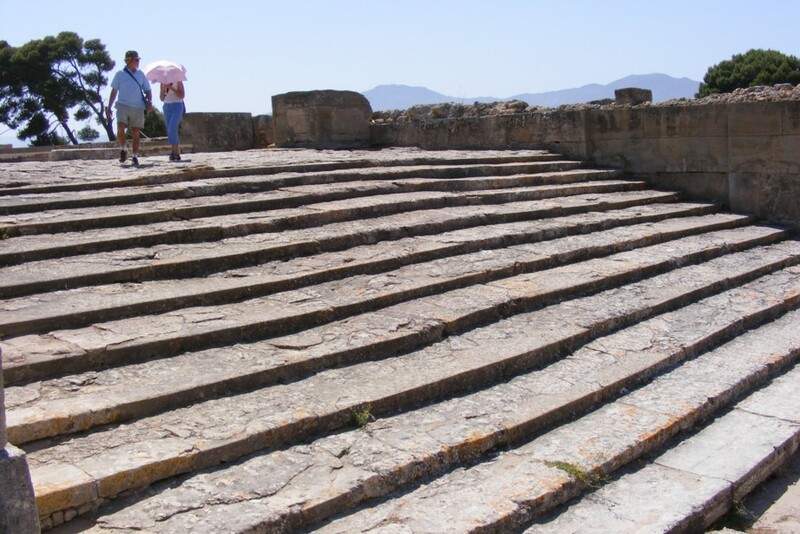 It is a dramatic site with the palace set on a hilltop with rooms cascading down the hill. There are sweeping views across the plain to Mt Psiloritis to the north. 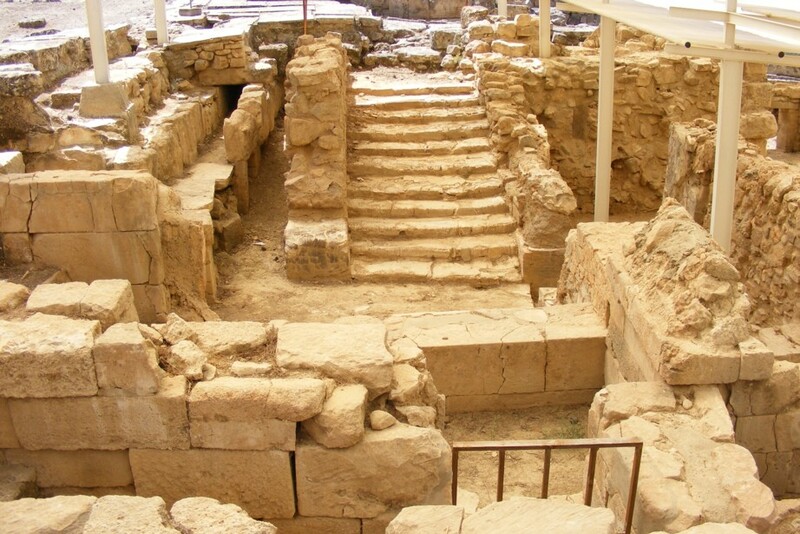 The layout of the palace is similar to that at Knossos. There has been no reconstruction. Instead the remains of three successive palaces can be seen with nothing remaining more than a metre above ground. Grand entrances to apartments - polished stone or marble casings. 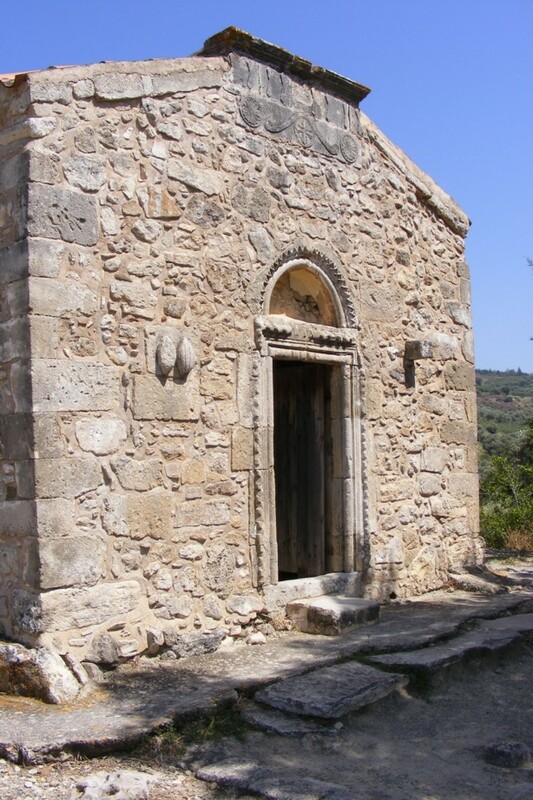 Agios Triada is about 3 km from Phaistos and linked by a Minoan road. 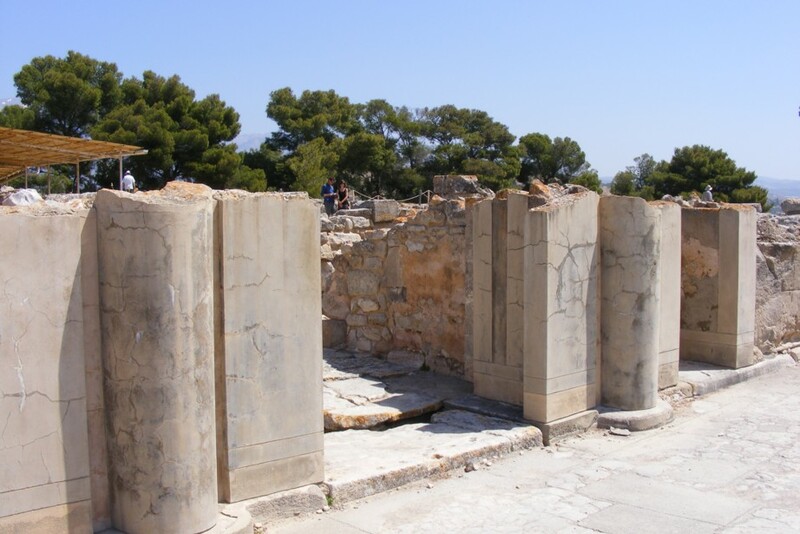 Archaeologists believe it was built as a summer palace in the late Minoan period about 1700 BC. It suffered great damage in the cataclysm of 1450 BC but recovered. 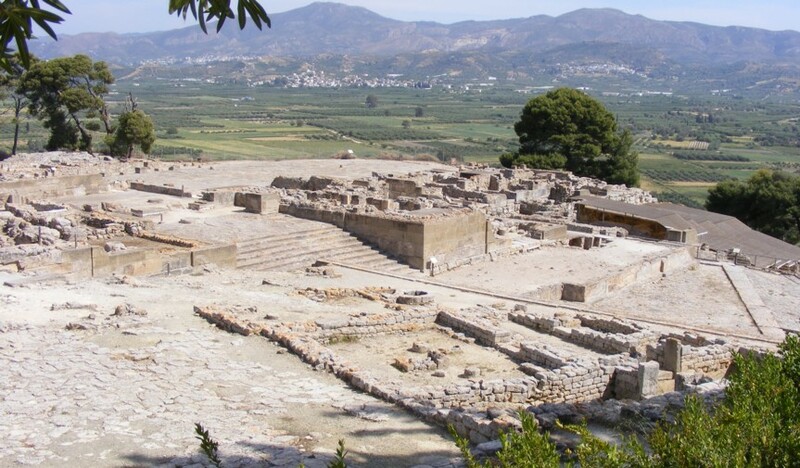 A Dorian Greek town was built to one side, its Agora can still be seen. 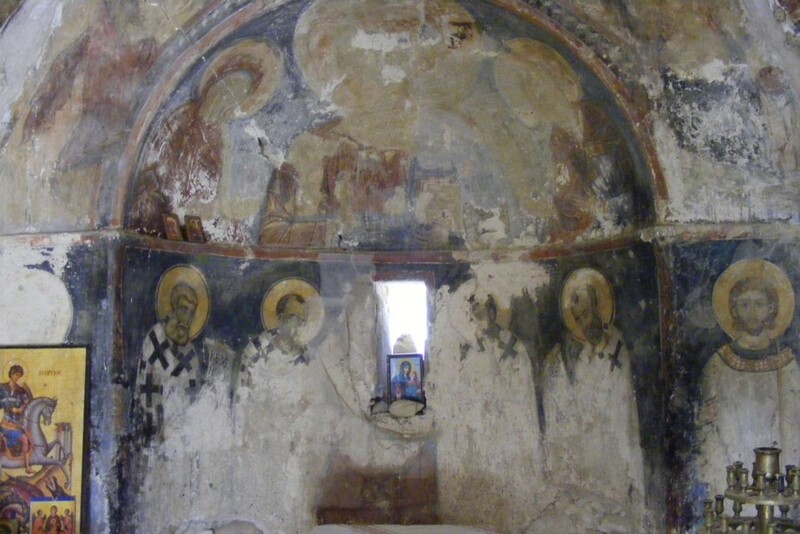 At one side of the top of the site is a 14th century church Agios Georgios, with fresco fragments about St George inside. 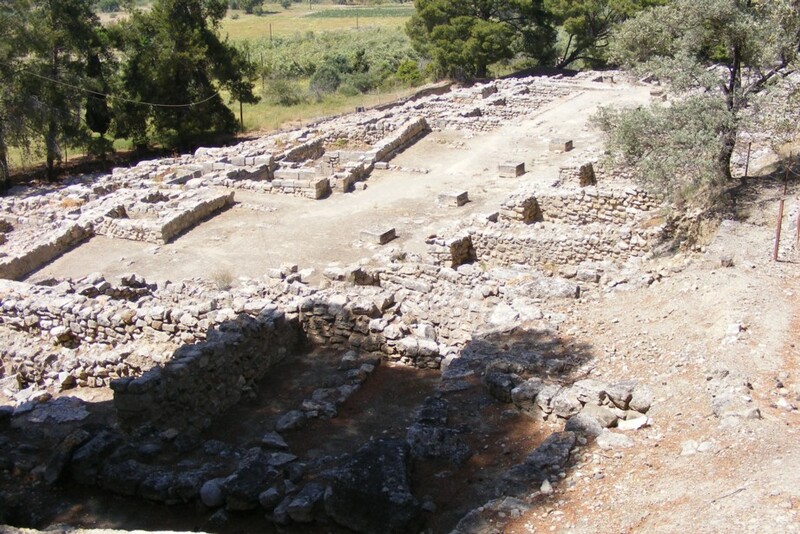 The later Dorian Greek town showing the Agora at the centre. 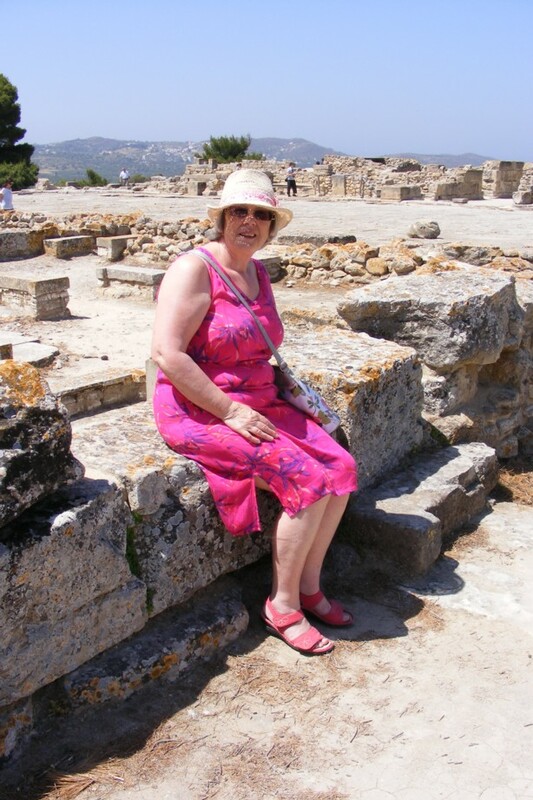 Elaine in protected area of excavation. Water management, both input and output, was very important and well laid out. 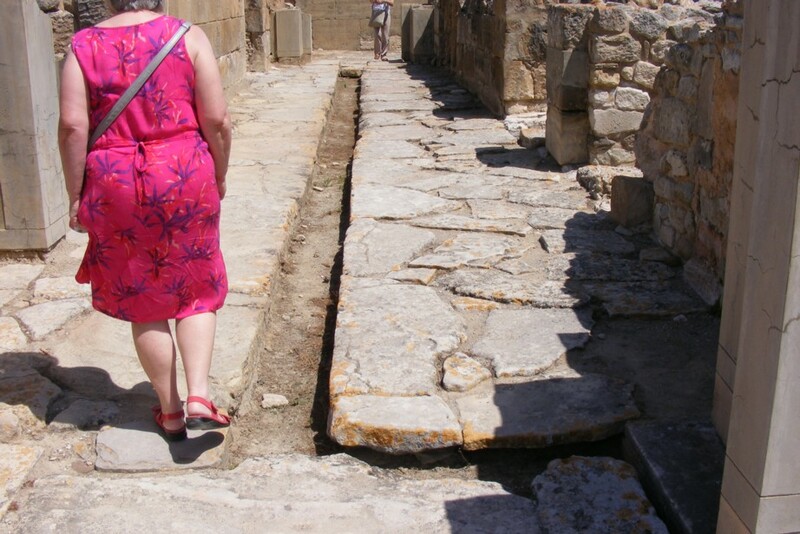 Both carved stone channels and ceramic interlocking pipes were used.